Students will have access to the skills and training opportunities needed to succeed in a growing Alberta tech-based economy with the passing of the Growth and Diversification Act. 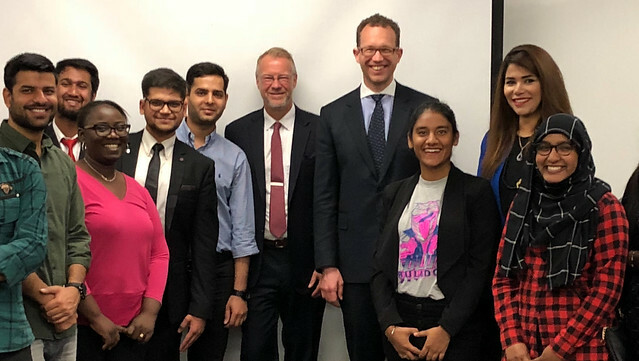 Minister Schmidt visits students at Concordia University Masters of Information Systems Security Management to discuss next steps for the Growth and Diversification Act. The Growth and Diversification Act is part of the government’s commitment to create an economy built to last, and is an example of how the province is preparing Albertans for a diversified and tech-savvy economic future. Additional information about government initiatives supporting tech-sector growth, including the naming of the TACT co-chairs, will be released throughout the summer.